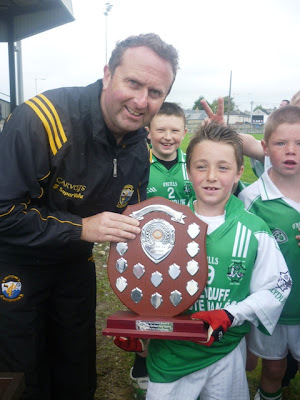 Frank Sheehy Park Listowel hosted the 7th Annual Jim Corridan Tournament on Sunday 4th September. 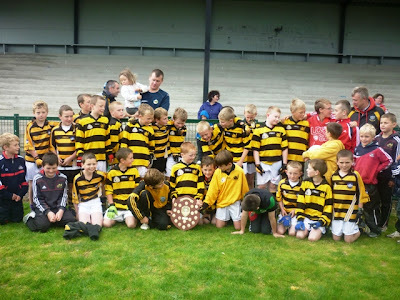 This year's tournament had a total of 8 teams taking part from around North Kerry (Ballydonoghue, Ballyduff and St. Senan's) with Legion of Killarney and Canovee of Cork also attending, while Listowel Emmets had three teams involved including a Ladies team for the first time in the tournament's history. 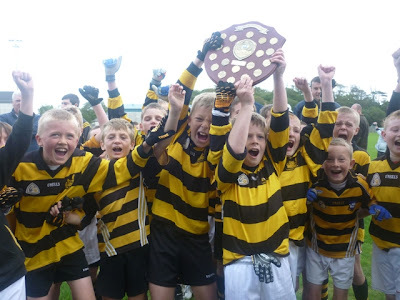 After the opening rounds which saw some fiece battles take place Canovee and Legion emerged as A Final opponents, with Ballydonoghue and St. Senan's in the B Final while Ballyduff and Emmets U9's competed in the D Final with Emmets U10's and Emmets Ladies in the C Final. After some swift exchanges in the opening half, Canovee of Cork put in a exhibition against Legion who fought gallantly until the final whistle. 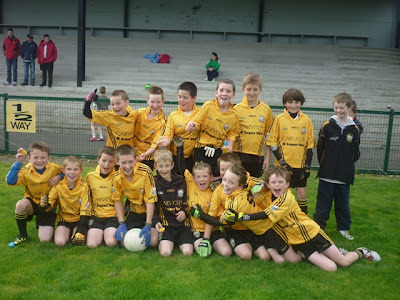 Ballydonoghue had a point to spare over St. Senan's in the B final while Ballyduff and Emmets U10 boys took D and C final honours respectively. 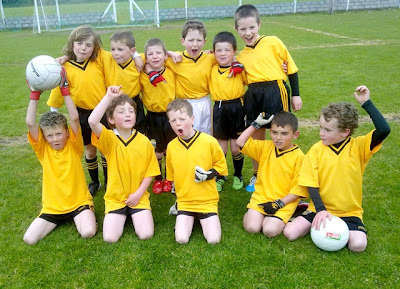 The finals of the John B Keane League took place in Frank Sheehy Park on Monday evening last under glorious sunshine as members of the Listowel Primary Convent School band played out all 6 teams contesting the finals. 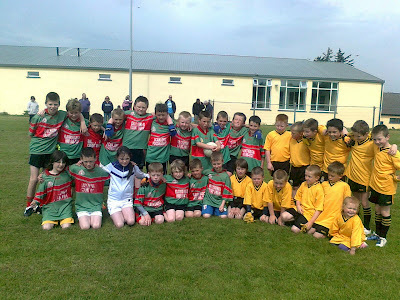 The C Final was the first game to be played where Robert O'Brien's Boro took on Aaron Shine's An Ghleann team, this was a great game of football with both teams showing their skills and taking good points from play. Aaron Shine accepted the C Final Sheild from Sean Keane a member of last year's winning side, Rebecca Mason picked up the player of game award where she had a great game taking some fine scores from play, well done to managers Marion Keane, Graham Shine and Helen Mason. The B final was a hotly contested game where Killian Fealy's Listowel Independents met with Tim Scanlon's Blackcock Feather's, another exceptionally high skill game with nothing between both teams right to the final whistle. The game looked like it would end in a draw but a point for the Independent's saw them sneek a good win final score Blackcock Feathers 0-14 Listowel Independent's 0-15. 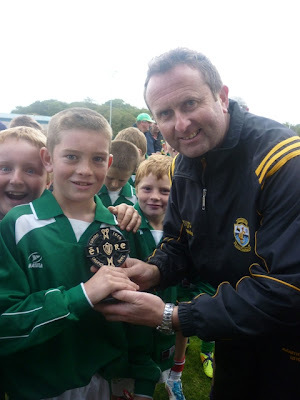 Killian Fealy accepted the Shield on behalf of the Listowel Independents with Stephen McCarthy receiving the man of the match award, well done to all players and to team mentors Noranne Fealy and Breda Grimes. The A final saw Jamie McVeigh's Rural Rangers take on Devan McKenna's Ashes, this eagerly awaited final lived up to all expectations as both teams got stuck in from the start taking great points from play. The Ashes began to get an upper hand midway through the second half thanks to the brillance of Devan McKenna who powered past a gallant Rural Rangers defence, final score Rural Rangers 0-5 The Ashes 0-10. 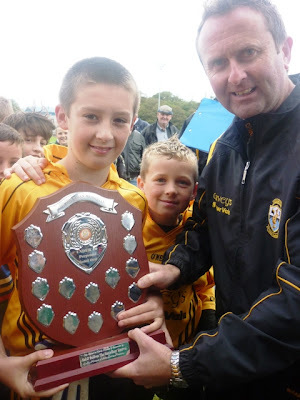 Devan McKenna accepted the A Final Shield from Sean Keane on behalf of the Ashes and also picked up the man of the match award, well done to Devan and to managers Kieran Lynch, John McElligott and Geraldine O'Donovan. 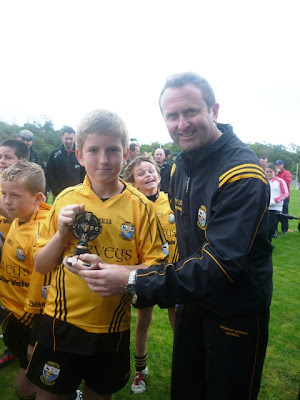 A huge thank you to the Keane Family for their sponsorship of the league and to every parent and mentor that helped out in anyway to ensure the league was a great success. Finally a thank you must also go to Sean Moriarty, PJ Kelliher and Patsy McCarthy who referee the games over the last six weeks. Finally, we would hope to see everyone at our fundraising table quiz at John B Keane's Bar on Friday night at 9pm.